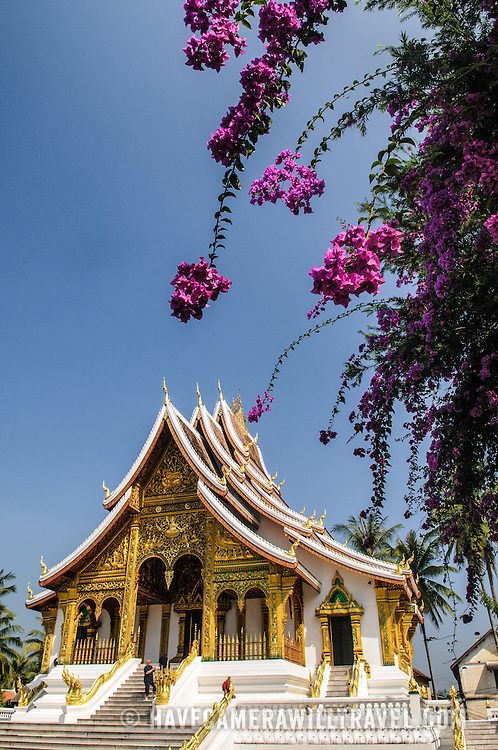 Flowers in front of Haw Pha Bang (or Palace Chapel) at the Royal Palace Museum in Luang Prabang, Laos. The chapel sits at the northeastern corner of the grounds. Construction started in 1963.